And back on a new adventure once again. It’s off to London in a few hours, and we are waaaaaay too early for the flight. Why and how? Thanks to Online Check-In. Back in the first Euro trip in April 2013, we were lined up for close to an hour with lots of bags and somewhat unruly passengers. 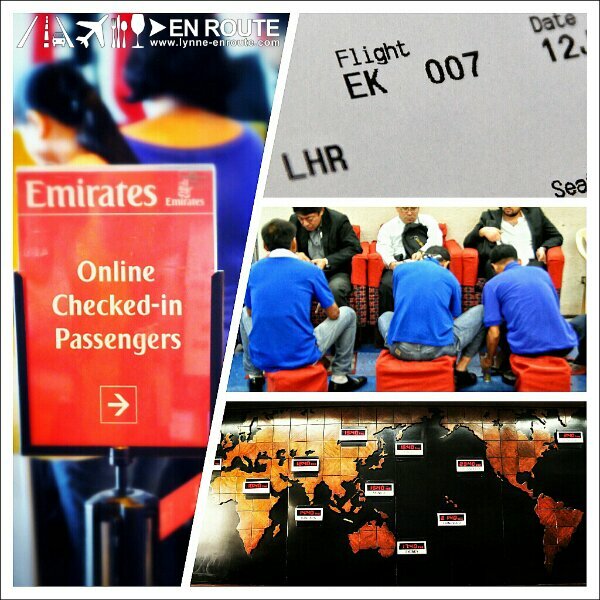 To skip the lines, we tried checking-in using the Emirates Online Check-in function. Quicker, and lesser people in line. Not so sure if it was because we checked in online or that we were here early, or maybe because we used this airline before, but we got bumped up to business class. This should be great! 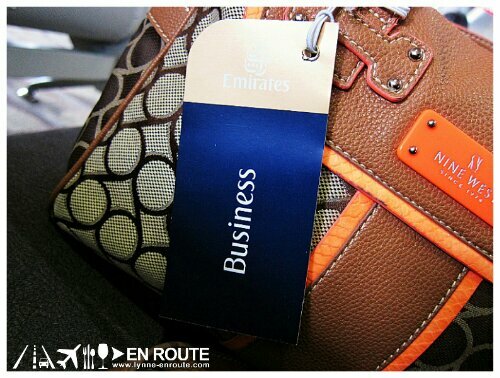 Heard great stuff about the business class service. Hope there’s unlimited booze. Love Lynne noticed the fact that the flight number to London is 007. Coincidence? I noticed a lot of shoe shine boys and the retro style time markers for some key cities around the world. Won’t mind if the airport still retains its retro look, but they sure need to make this bigger. One thing it has going for it: the air conditioning is so cold, it reminds me of Amsterdam at high noon. We’re off to another adventure! Despite a rough start to our day, I am taking skipping most of the line and being upgraded to business class as very good signs. Things should get better (and hopefully a tad warmer). Since we’re early, free internet is a very welcome service. No, we won’t do selfies. You can expect more beer and food though. Ray mentioned retro. That’s kind of what the airport terminal feel is really like. Still, I wouldn’t say it’s something nightmares are made of. So we shall be aboard flight 007. And just like James Bond, we shall explore London like a boss. Anyone care for a Vesper? Go try st John bakery custard doughnuts. Available only on Saturday’s.. The best I’ve had. Will try and look for these! Thanks!